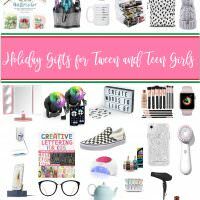 Best Gifts for Tween and Teen Girls – gifts the teen and tween girls in your life are going to want to open. No eye rolls in sight. Buying gifts for teenage girls are so much easier than buying things for teen boys. I love my boys, but my daughter is so much easier to buy presents for. She is 13, likes her room to be cute, arts and crafts, appreciates a beauty product, and cute accessories. She’s a Harry Potter super nerd, loves cozy things, and reads almost as much as I do. 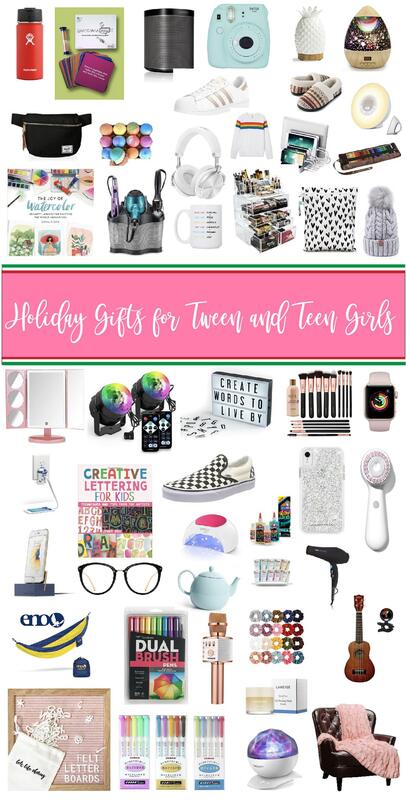 These gifts are teen girl approved and will most likely not get you an eye roll or an “ew, mom, gross” on Christmas morning or on a birthday. I can’t promise that though, teen girls are highly unpredictable. Delightful, but unpredictable. Ava (my 13-year-old) and I had a lot of fun putting this list together. We picked things in a lot of different price ranges, and while some are obvious, we tried to pick some things that are a little different and unique. 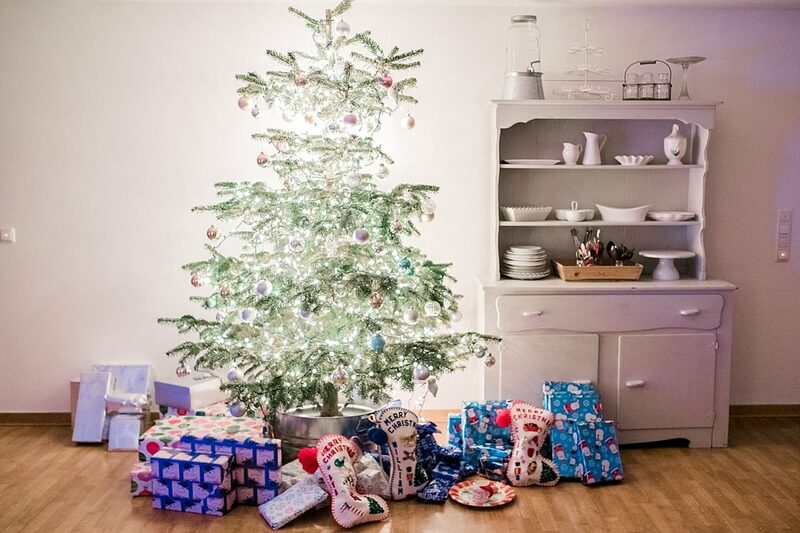 This is a great post to send to an aunt or uncle and grandparents for some gift ideas. If you are looking for stocking stuffer ideas, I have you covered. 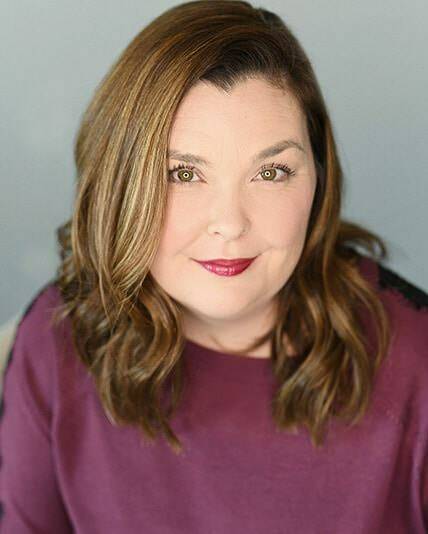 If you are reading this post from your email, please scroll down to the bottom and click over to the website. There the links will be live and you can go directly to Amazon. All gifts can be purchased on Amazon, my preferred way to shop. I don’t even need to put on pants. Glow In The Dark Slime Kit – I keep thinking that the slime phase has ended but then to my surprise, I have a girl begging me to add glue to my grocery list. Still going strong. 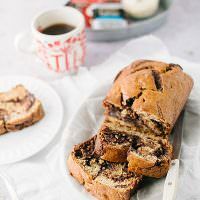 Cozy blanket – It’s pretty rare to not find my kids watching a movie or even eating breakfast not wrapped in a cozy blanket. Nordic Slippers – Also very popular with all of my children, since we are a no shoe in the house kind of place. Ukulele – I bought a uke for Ava a few Christmases ago and since then she has taught herself how to play the uke, the guitar, and is working on the piano. It was the catalyst for wanting to learn to play instruments. Fanny Pack – They don’t wear them around their waists, but draped across their chests. They are making a comeback in a big way. Bath Bombs – Who doesn’t love a relaxing bath? Even better, buy the ingredients to make your own. We love to make bath bombs at home. Friends Mug – Ava and her friends are all watching Friends and this mug is super cute. Essential Oil Diffuser – We have oils diffusing all the time, this one is really cute. PomPom Hat – We have a million hats and wear them all. Pompoms are super cute and keep you super warm. Superstars – These go with everything from jeans to a summer dress. All the girls I know where these. Wet bag – I discovered these when my kids took swimming lessons in the winter. You can put anything wet into them and they don’t get the rest of your stuff wet. We always travel with these, they also are great for running clothes. Glitter Waterfall Phone Case – I have this phone case and I’ve never met a teen girl that seen it and not told me how they love it and ask to play with it. Apple Watch – This is on the high-end price wise, but I don’t know a teen that doesn’t want one. Rainbow Sweater – We love anything rainbow and this sweater is adorable. Nail Dryer – No more smudged nails. A salon manicure at home. Makeup Brush Set and Cleanser – Using high-quality brushes makes all the difference when learning to put on makeup. Instax Camera and film – These little cameras are so cute and take great pictures. Ava tapes them into her locker. Teapot – Ava makes herself a cup of Sleepytime tea every night before bed. This pot would be a perfect addition to her nightly ritual. Blue Light Blocker Glasses – Fact – kids look at a lot of screens. These glasses are so cute and block harmful blue light rays. Van’s Slip Ons – I love that these are back again. Van’s are always a solid gift for any teenager. Scrunchies – I can’t believe that my daughter is wearing these, but alas, she and all of her friends are. The 90’s are back! Lightbox – So cute for a girls room and on Ava’s wish list. Felt Letter Board – Ava updated hers this morning. She loves to find inspirational quotes and put them on her board. Sheet Masks – Every girl loves to pamper their skin. These sheet masks will help with all of your skin issues. Clarisonic – A face cleaning brush. This is on Ava’s Christmas list. It is also a good tool for applying foundation. Light Up Mirror – Good light is key when putting on makeup so it looks natural. This mirror is great. Hydroflask – Each one of my kids has a Hydroflask. These keep water cold and there are refill stations at school and most places we travel to. No more buying water every time they get thirsty. Star Light Projector – These night lights are really sweet and all of my littles use on in their rooms. Northern Lights Projector – Same as above but this one projects the Northern Lights. This is Ava’s favorite. Creative Lettering for Kids – This book teaches pretty hand lettering and is a workbook for practice. Whatchamadrawit – A fun art game. You have to draw your card in the time giving. It’s harder than you think. Hair Dryer – My hair stylist told me that you need to use high-quality hair tools for the sake of your hair. Invest in a good hair dryer and it will last for ages. Charging Station – We have one of these in the kitchen and it’s a good place to put all the devices to sleep at night. Sonos Speaker – We don’t watch a lot of TV, but we have Spotify and podcasts playing all the time. These speakers are great, you can add to rooms and turn them on and off. Portable Hammock – I bought one of these over the summer for the porch and it was the most popular place in the house. You can put in a million places and it folds up into a teeny bag. Hair Tool Holder – Keep the hair tools and cords contained. You can put hot tools in here too. Colored Pencils in a Roll Case – I always want my kids to have art supplies on them. These pencils roll into a small package and can be thrown into a bag with a sketch pad. Brush Pens – These are great for hand lettering. Beautiful colors and don’t dry out easily. Headphones – We don’t go anywhere without headphones. These are cute and work really well. They aren’t too expensive and look great. Markers & Highlighters – These come in lots of colors and are great for journaling, drawing, and hand lettering. Lip Sleeping Mask – This lip mask works really well and tastes amazing. Star Wars Phone Charger – For the Star War fans in your life. Who wouldn’t want to charge yourself with R2D2? Phone Docking and Charging Station – For the non-Star Wars fans. This is cute and we have them next to our beds. Sunrise Alarm Clock – My kids have to be on the bus before 7 am. This is a much nicer way to wake up than a loud buzzing noise. The Joy of Watercolor – For budding watercolor artists. The author of this book has a delightful Instagram account and this book is also a delight. Acrylic Make Up Drawers – I have two of these in my bathroom. They store a lot of makeup and look really nice in my bathroom. Disco Lights – These are an excellent addition to your kitchen dance party. 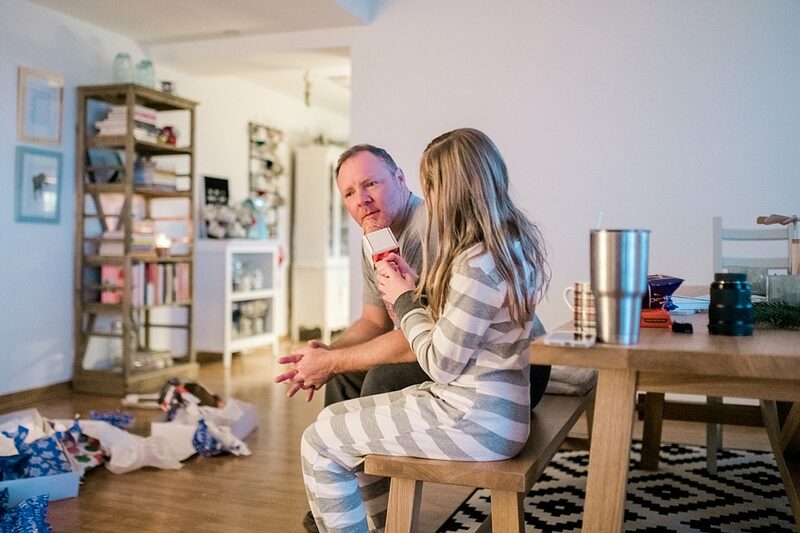 Karaoke Microphone – This was the most popular gift of 2017 and whenever we have the kids friends over this always comes out and everyone asks where they can get one. Bree, Thank you so much for this list! I have a tween grand daughter and am not so up to date on what is hot these days. So helpful!!! This list is awesome! Now I just need one for boys! ?? ?